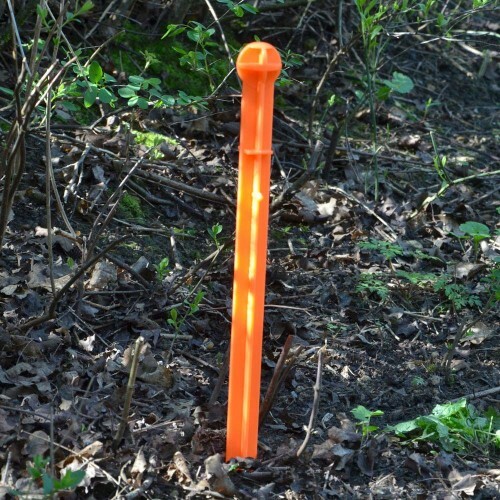 Our own design of injection-moulded polypropylene plastic marker peg can be used to mark out a variety of events, such as trials, enduro, cross-country and MX. They are very durable, and can be pressure washed after use, no painting required. 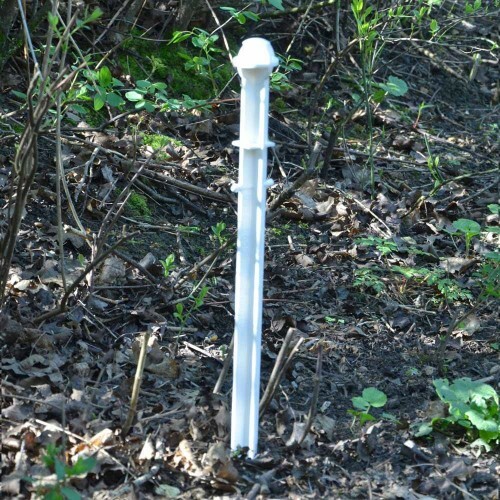 The top of this Marker Peg has a 40mm ball, so that it has no sharp edges in case someone falls on it. 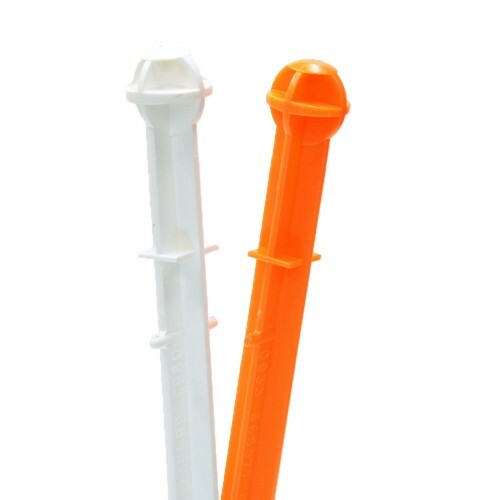 Available in WHITE or BRIGHT ORANGE, select colour in drop-down. THESE WILL NOT FIT OUR DISCS, ARROWS, OR SQUARES.